Aymon Hata took down the Triton Poker High Roller at partypoker's LIVE MILLIONS Russia for $756,000. 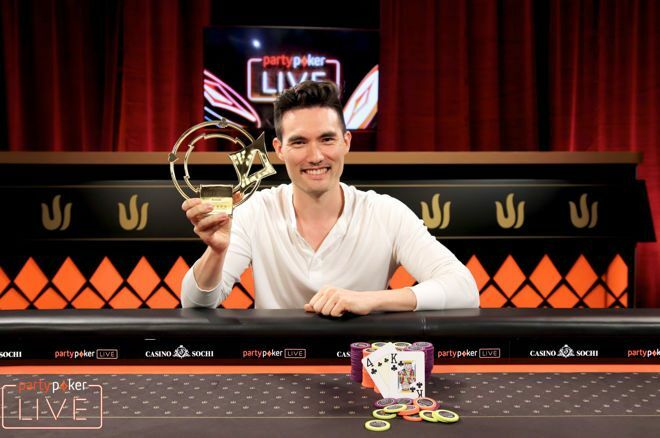 A champion has been crowned in the second-most expensive tournament of the 2018 partypoker LIVE MILLIONS Russia poker festival at the Sochi Casino and Resort in the Krasnaya Polyana region. 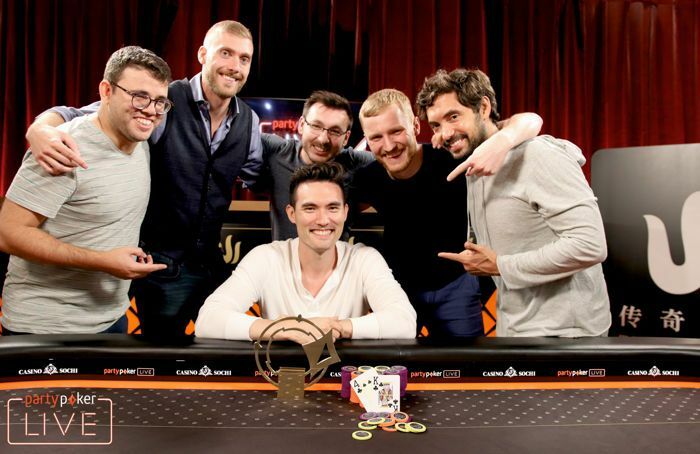 In cooperation with the Triton Super High Roller series, the RUB3,000,000 buy-in (~$50,000) event attracted some of the biggest names of the international high stakes poker circuit and it was Aymon Hata who emerged victoriously in heads-up after defeating Vladimir Troyanovskiy. Hata comes fresh off a third place in the $100,000 High Roller at the 49th World Series of Poker, which came with a payday of almost $1.25 Million. Hata has a British and Japanese passport, his father is from Japan and his mother is from Scotland, but he was raised in Germany and speaks the language fluently. Hata currently lives in London with German poker pro Tobias Ziegler as a flatmate and is friends with many of the German High Rollers. "I am going to continue playing in High Rollers but won't play every single one of them for the sake of it." "I started playing poker when I studied and built my bankroll online. Once I was finished with the studying, I decided to continue playing poker, for now, to see how that goes. I continued to build my bankroll and started playing in High Roller events through some contacts in the poker scene." When asked whether or not the recent results will influence the number of events he will play, Hata had the following to say. "I don't think a lot will change. I am going to continue playing in High Rollers but won't play every single one of them for the sake of it. I will make sure that the fields are interesting and look for spots." Hata also confirmed that he would take advantage of the late registration in the RUB6,000,000 Super High Roller and join the action in the first three levels on Day 2 of the Triton Poker Super High Roller as of 1 p.m. local time. The Brit had to overcome a tough final table that also included Patrik Antonius, Triton Poker founder Paul Phua, Philipp Gruissem, and Timothy Adams. "It was definitely tough, and I had some tough spots. I got lucky once with ace-jack against kings and from there on things went really well." Registration for the event remained open for the first three levels of Day 2 and the field grew from 37 to 47 entries. Among those to join were partypoker ambassador and birthday boy Anatoly Filatov, as well as superstar Phil Ivey, but both busted well before the money. "It was definitely tough, and I had some tough spots." Among those to bust early on were Andrey Pateychuk and Abraham Passe. Chin Wei Lim's late entry lasted all but five minutes before his flopped top pair and gutshot ran into the bottom set of Aymon Hata only minutes after the registration had closed. Other notables such as Dietrich Fast, Manig Loeser, and Oleksii Khoroshenin also joined the rail without anything to show for. In a battle of Triton founders, Richard Yong ended up second-best with ace-king against the ace-queen suited of Paul Phua. Not uch later, Jack Sinclair couldn't get there with pocket tens against the pocket jacks of Vladimir Troyanovskiy. Koray Aldemir and Aleksandr Gofman busted soon after the two table redraw and they were joined by Johannes Becker, Igor Yaroshevskyy, and Wai Kin Yong. Yaroshevskyy saw his hopes destroyed when he called the shove of Ivan Leow with pocket aces only to get shown a turned set of sixes by Leow in a three-bet pot. Bartlomiej Machon and Timothy Adams were unable to run up their shrinking stacks and Leow then went from chip leader to bubble boy in one hour. After losing two all-ins, Leow three-bet shoved with ace-ten and Patrik Antonius reshoved with pocket queens. Initial raiser Paul Phua called with jacks, but Antonius nearly tripled to let the bubble burst. 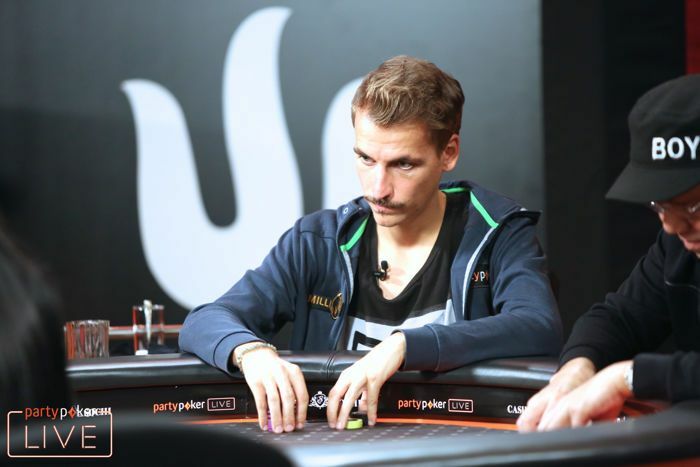 The next player to go from top spot to payout desk was partypoker's Philipp Gruissem, who also lost two all ins before failing to survive when he was at risk with ace-nine against the ace-jack of Patrik Antonius. The Finn took over the lead but would suffer the same fate, though. Phua sent his stack over to Antonius with nines versus kings, and the run good stopped right there, as 20 minutes later the Finn became the next casualty in the money. First Antonius three-bet shoved with pocket fives in the big blind and Troyanovskiy snap-called with pocket queens to halve the stack of Antonius. The biggest pot of the tournament then followed, and it was Aymon Hata that had the best of it. On a ten-high paired flop with two hearts, Antonius check-raised all in with seven-six suited and Hata looked through it and reshoved with ace-four suited for the nut flush draw. Another heart on the turn left Antonius with just one out, and the miracle never happened. Heads-up would be set up soon after. Konstantin Uspenskii lost most of his chips with a seven-high bluff against Hata's full house, and the Brit finished the job he had started soon after with queens against the king-eight suited of Uspenskii. Hata never lost the comfortable lead he had against Troyanovskiy. He dealt the final blow with king-four suited versus jack-seven at close to 2 a.m. local time. While the RUB3,000,000 High Roller may be wrapped up, the high stakes action continues right away at lunchtime with the final day of the RUB6,000,000 Super High Roller. The PokerNews live reporting team will be back on the floor to bring you all the action until the next champion is crowned. 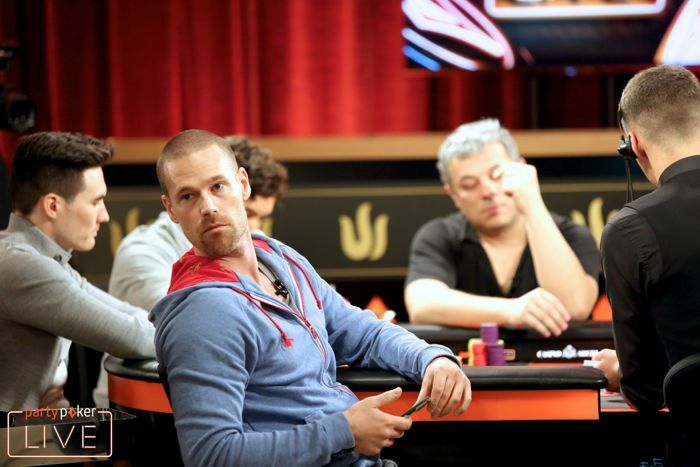 Patrik Antonius started the day with the lead, ended up in 4th place for $236,250.